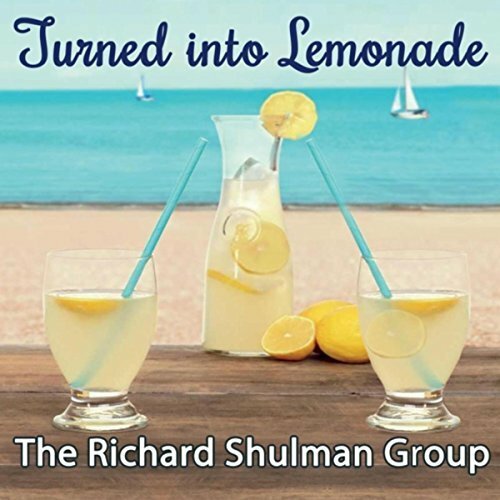 bebop spoken here: CD Review: Richard Shulman Group - Turned Into Lemonade. 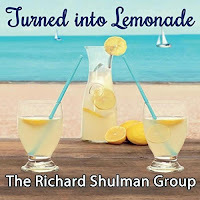 CD Review: Richard Shulman Group - Turned Into Lemonade. Richard Shulman (piano); Jacob Rodriguez (tenor/soprano); Zack Page (bass); Rick Dilling (drums); Wendy Jones (vocal - 3 tracks). What a delightful album! Not pushing any boundaries but so easy to listen to and I don't mean that condescending genre - Easy Listening - under which label some of those record stores still standing hide their jazz content. Call it Chamber Jazz if you will, whatever, it serves as an example that jazz in 2018 doesn't have to be all guts and gore. Rodriguez is fluid and agile on soprano sax producing an almost clarinet-like sound that relates easily to the album's title. Turned Into Lemonade, an original composition by Shulman (they all are, bar one), is described by the composer thus: "When life gives you lemons turn them into lemonade." As well as his composing skills, Shulman is a fine pianist displaying the subtleties of, say, Bill Evans or Keith Jarrett as opposed to the panache of Peterson in overdrive. The three vocal tracks add to the variety, Jones has a very pleasing voice that fits the mood perfectly - with or without words. This won't be my Record of the Year or even of the month but I suspect it will be one I'll probably end up playing more often than some of the ones that made a big initial impact only to fade with familiarity - a bit like lovers really! It really is a little gem, released a couple of weeks back, it's well worth checking out.